This year’s batch of Best New Restaurants adds new depth to our lively, layered restaurant scene. 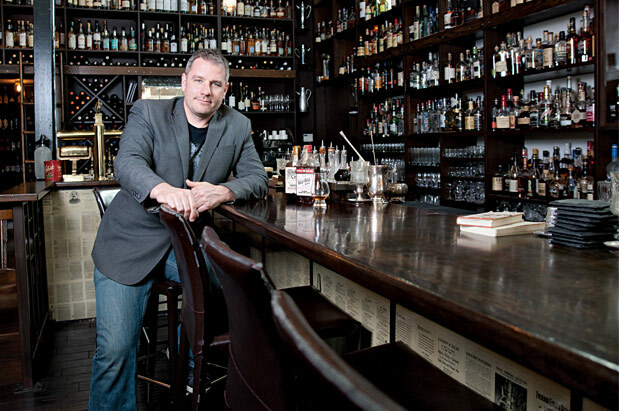 While it opened a little more than a year ago, in September 2011, Canon: Whiskey and Bitters Emporium is still fresh on the Seattle cocktail scene. In fact, we’ve spoken with several local cocktail devotees who admit they haven’t yet been. Which is a mistake, because if you revere cocktails made with care, precision and a dose of history, Canon is a must. Opened by virtuoso mixologist Jamie Boudreau (who’s shaken and stirred at many cocktail spots in Seattle, including Vessel and Rob Roy), Canon has a subtly splendid style, one that echoes an earlier time period. Its dark wood, tin ceiling, luscious antique-y wallpaper, mahogany bar stained deep with angostura bitters, and intimate ambiance provide the chance for a transformative moment. Here, it seems to say, your life just might change. At least, you’ll know you’re in for a very good drink, a fact made evident by the massive bottle shelf behind the L-shaped bar, packed with a vast array of spirits, liqueurs and mixers, along with old bar bottles and bar equipment. When sitting at the bar by yourself or with a friend—in the thick of the action, the way Canon is best experienced—gazing at the choices, it’s pretty obvious that this is a place in which the creation of cocktails is serious business. Plan on having a couple, because they’re delicious, and because that way, you’ll get to see more of the bartenders plying their trade with cool efficiency. But be sure that one of your drinks is the Canon Cocktail ($10). Constructed with deadly and delicious simplicity, it contains only rye, Ramazzotti amaro and Cointreau foam. The taste is airy and light at first, with a hint of citrus, but then the herbal earth and grain push through, mingling and ending with a smooth but sturdy finish. Its balance—a combination of classic and modern—sum up Canon perfectly.